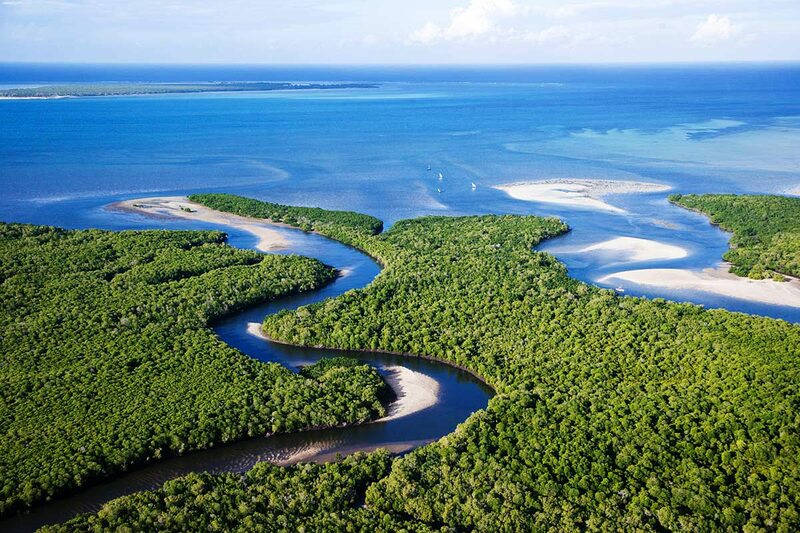 Renowned by those in the know for pristine coral reefs that teem with aquatic life, expansive mangrove forests and fascinating local culture, the Quirimbas Archipelago is Mozambique’s best-kept secret. You’ll explore this tropical paradise on an island-hopping Ibo dhow safari, which culminates in a luxury beach holiday in Ibo Island Lodge’s lovingly-restored beachfront mansions. 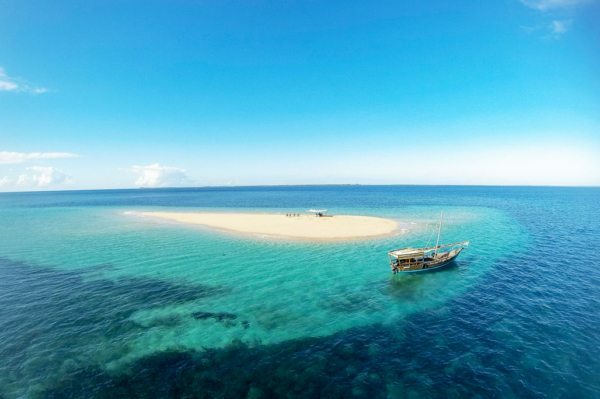 Varied scenery of the Quirimbas Archipelago, ranging from idyllic coral atolls, tide-sensitive sandbank islands, tangled mangrove forests and the mysterious underwater realms beneath the Indian Ocean. 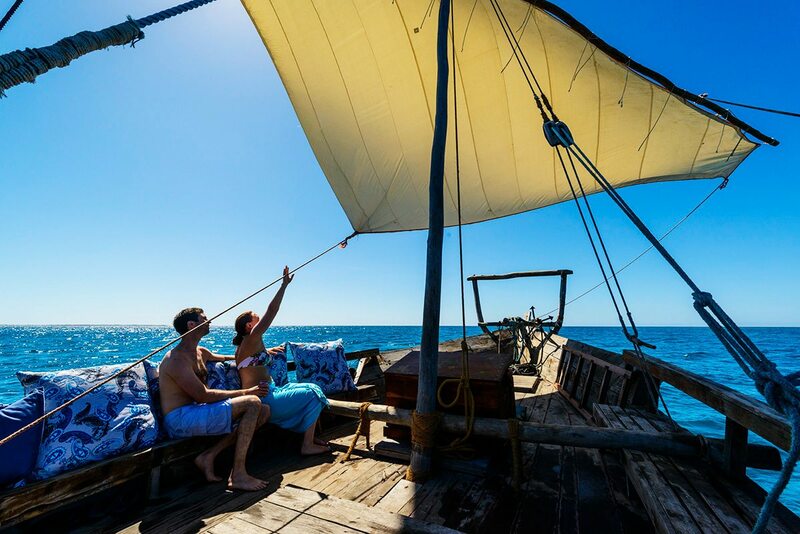 Opportunity to enjoy an island-hopping dhow safari, kayak the mangroves, dine on a sandbar, dive the Quirimbas and snorkel coral reefs, as well as to enjoy guided historical excursions, cultural visits and even indulgent spa treatments. 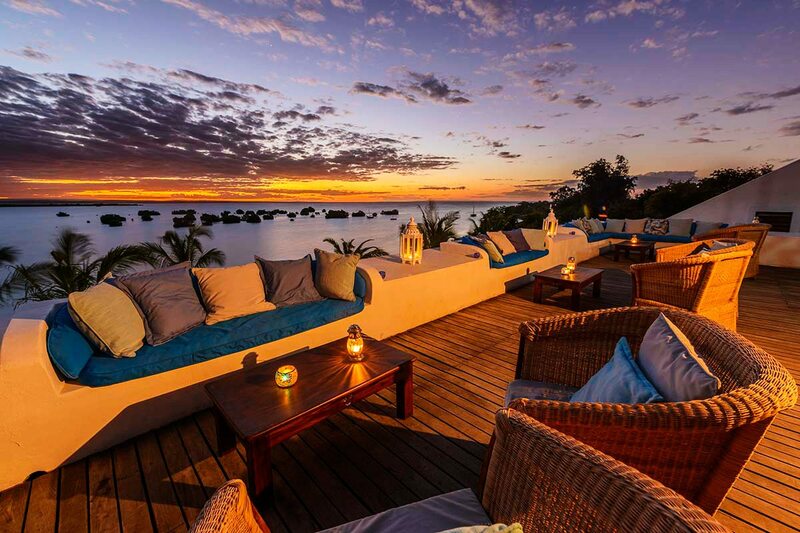 Accommodation includes fly camping under the stars in a domed tent, and luxury suites spread across three restored mansions overlooking a tidal bay. 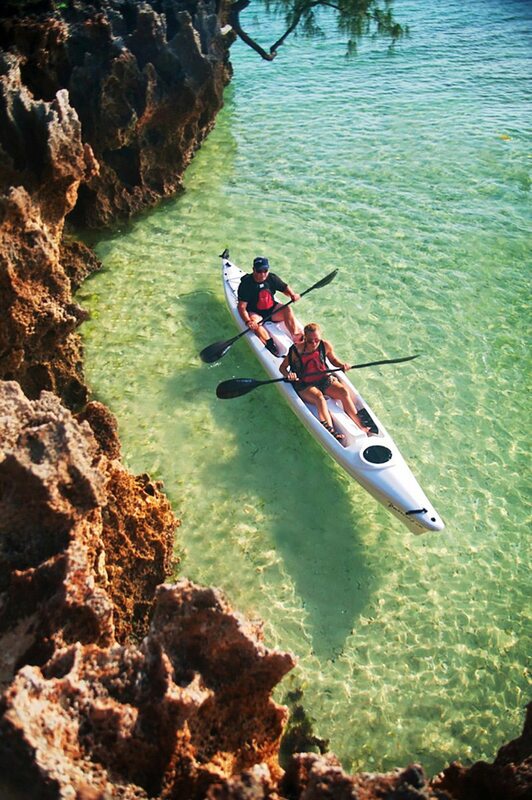 For more information see island hopping the Quirimbas and Ibo Island Lodge. A quick hop from Pemba took us over the mesmerising raw natural beauty of the Quirimbas Archipelago. Pearly-white sheaths of sand swept across turquoise waters, and interspersed with the otherworldly green of mangrove forests, offered us a taste of what was to come on our Ibo dhow safari, which started as we touched down on the historic Ibo Island.A gleaming mahogany dhow awaited us on the shore, with a tailormade itinerary that would see us exploring deserted islands, islands little more than sandbanks and ones steeped in history. We sailed to a coral reef just offshore of Matemo Island and plunged in to explore the underwater realm beneath us. 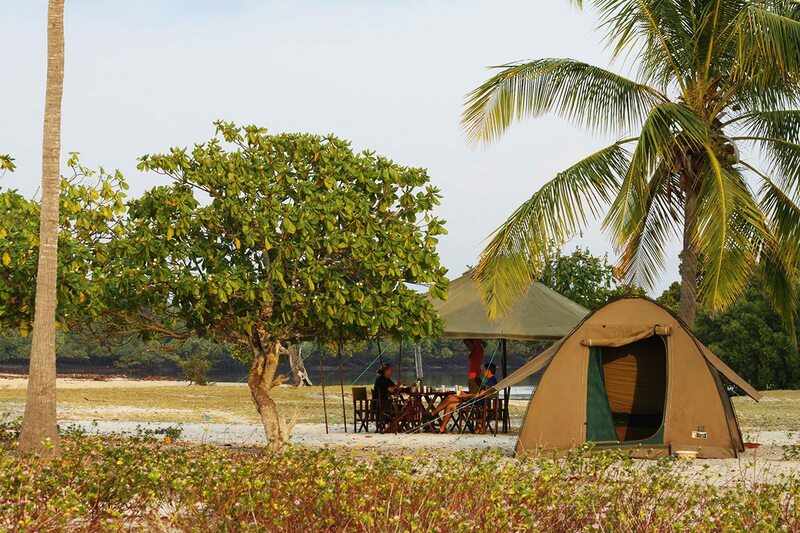 After thoroughly getting to know the island, meeting its children and ever-friendly fishermen, we picnicked on its shores as our camp was set up for us – wonderful! After a languid swim in the warm, tropical waters we were spoilt even more with a seafood barbeque under the stars.A delicious beachside breakfast was served before we sailed the next morning– accompanied by a school of exuberant dolphins – to the Ulumbwa Estuary and its pristine mangrove forests. After exploring them to the full, a large group of crab plovers wheeled above us as we enjoyed a leisurely lunch from the dhow. 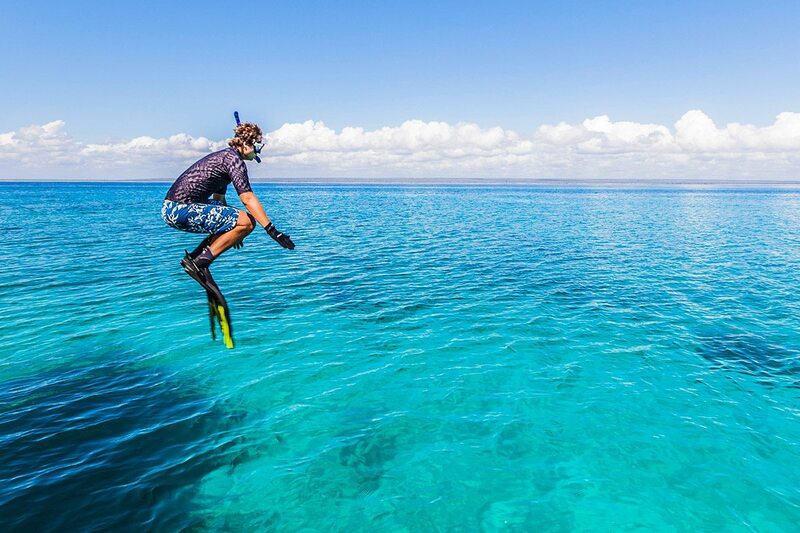 Another snorkelling extravaganza in the Quirimbas National Park unveiled more wonders, as did a sacred seawater lake that fills up with the tides, and another over-indulgent barbeque. Thinking fondly of our comfortable dome tent, we treated ourselves to an early night, falling asleep while gazing at the brilliant Mozambique night sky.The final morning of our dhow safari gave us just enough time to visit one last island before we sailed back to Ibo Island Lodge and our next phase of Quirimbas magic. 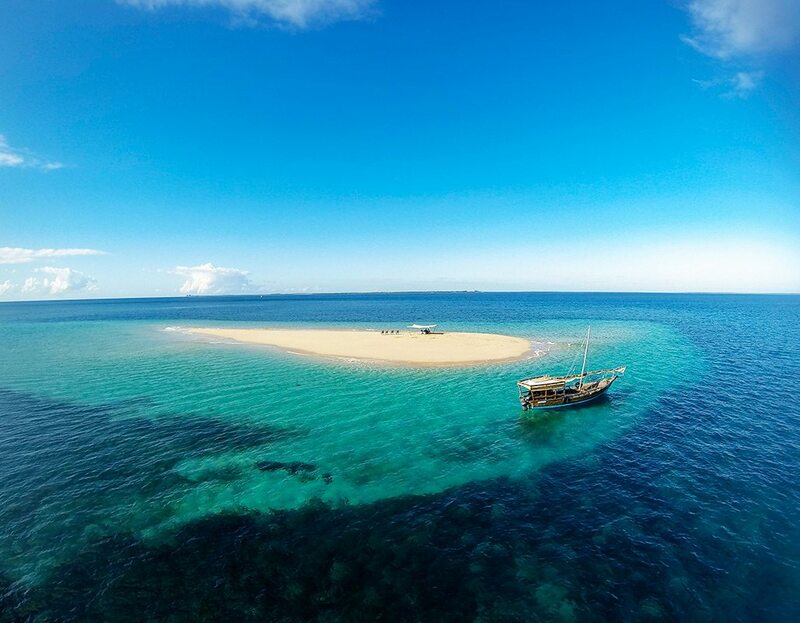 A quick hop from Pemba took us over the mesmerising raw natural beauty of the Quirimbas Archipelago. Pearly-white sheaths of sand swept across turquoise waters, and interspersed with the otherworldly green of mangrove forests, offered us a taste of what was to come on our Ibo dhow safari, which started as we touched down on the historic Ibo Island. A gleaming mahogany dhow awaited us on the shore, with a tailormade itinerary that would see us exploring deserted islands, islands little more than sandbanks and ones steeped in history. 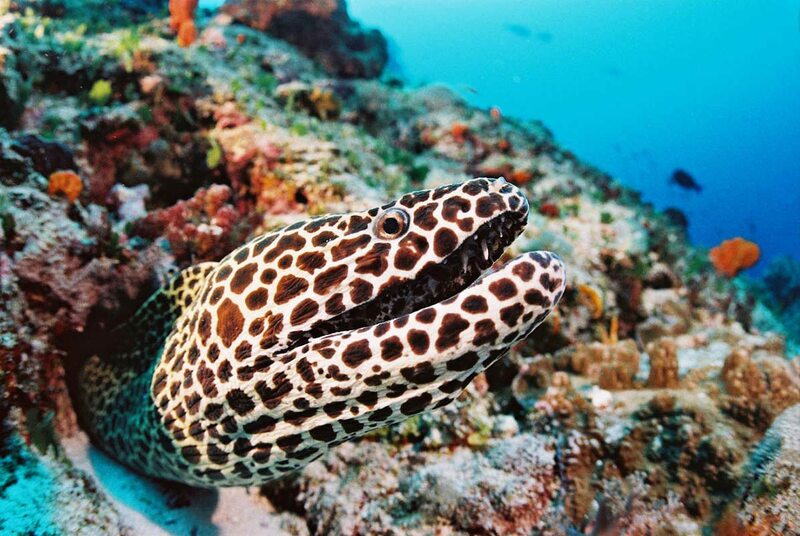 We sailed to a coral reef just offshore of Matemo Island and plunged in to explore the underwater realm beneath us. After thoroughly getting to know the island, meeting its children and ever-friendly fishermen, we picnicked on its shores as our camp was set up for us – wonderful! 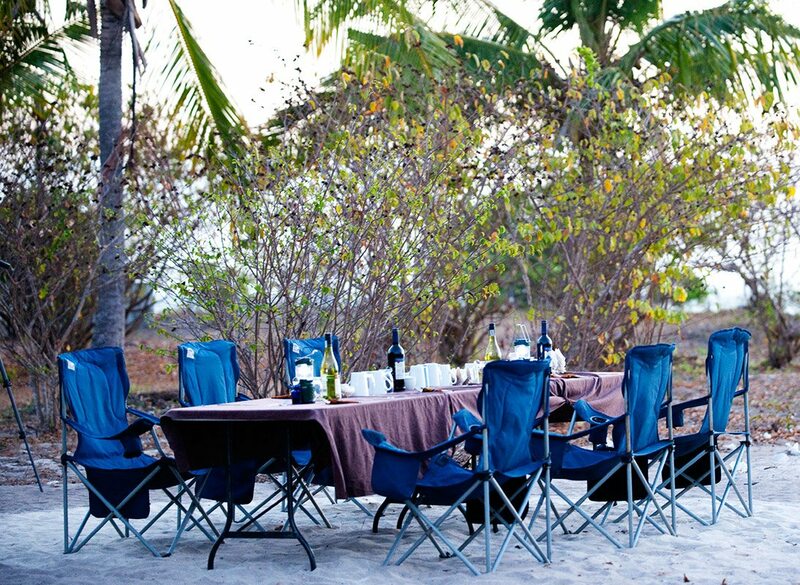 After a languid swim in the warm, tropical waters we were spoilt even more with a seafood barbeque under the stars. A delicious beachside breakfast was served before we sailed the next morning– accompanied by a school of exuberant dolphins – to the Ulumbwa Estuary and its pristine mangrove forests. After exploring them to the full, a large group of crab plovers wheeled above us as we enjoyed a leisurely lunch from the dhow. Another snorkelling extravaganza in the Quirimbas National Park unveiled more wonders, as did a sacred seawater lake that fills up with the tides, and another over-indulgent barbeque. Thinking fondly of our comfortable dome tent, we treated ourselves to an early night, falling asleep while gazing at the brilliant Mozambique night sky. The final morning of our dhow safari gave us just enough time to visit one last island before we sailed back to Ibo Island Lodge and our next phase of Quirimbas magic. After settling in at our room in Ibo Island Lodge’s restored Niassa Mansion, we met our guide for a grand tour of Ibo Island. We wandered around this 200-year-old ghost town’s mysterious ruins and ancient buildings, visited the silversmiths who still make intricate jewellery from melted-down coins and imagined this forgotten way of life. Returning after dark, we were served the first of many memorable meals, while transfixed by the full moon’s silvery reflection on the rippling tides. After two night’s camping, our room felt very lavish indeed, not least due to the romantic four-poster bed covered in rose petals we discovered on our return.Our bed was so comfortable that we slept right through our intended morning nature walk, but luckily for us, at Ibo Island Lodge there are no set schedules. With coffees to start, we chose to kayak the Quirimbas instead. As we paddled along translucent waters, we could see tiny fish dart beneath us. Pulling up to the water’s edge, we disturbed hundreds of crabs and several birds, including a pied kingfisher. Once we’d experienced the mangrove forests and their birdlife to the full, we paddled around a bend to find the ribs of an ancient wooden vessel poking out the water, covered in sunbathing cormorants.Late the next morning, with the receding tide, a fine dhow awaited to take us dining on a sandbar. We cleaved away from the beach with our lateen sail billowing in the wind, only anchoring when the perfect, crescent-shaped sandbank was found for us to play castaway on. While we swam, the crew set up a decadent beach picnic. They then left us blissfully alone, effectively marooned on our sandbank until their return with the rising tide. My partner was lost in a novel as I lost myself in the underwater realm, until our dhow arrived to take us back to the lodge for sundowners and dinner.The conditions for diving the Quirimbas were just right: calm seas, 28°C water and 50m visibility. After getting rigged out, a ski boat took us to a sunken island, where we tipped backwards and descended towards the seabed. Passing through a canyon we found enormous and colourful corals, along with goldies, Moorish idols, clams and humpback snappers. It was an overwhelming profusion of fish, and we even spotted sinister reef sharks on our way out. 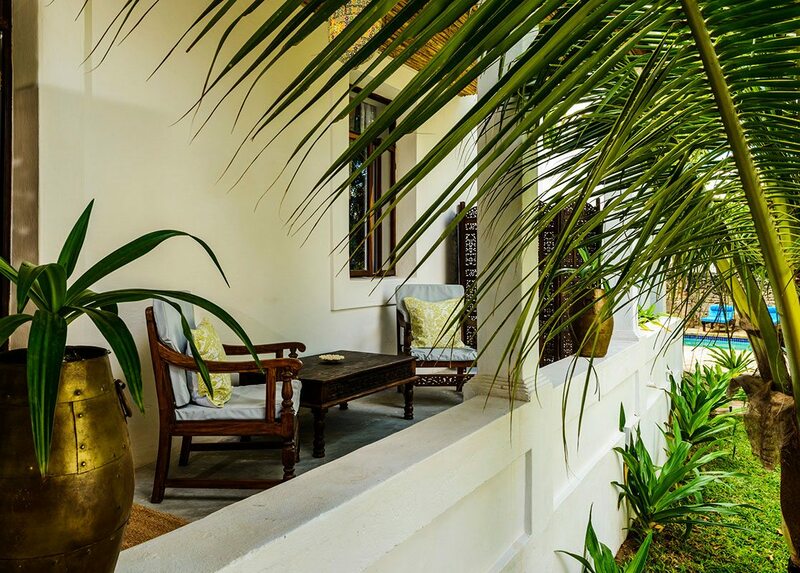 Still elated by the dive, we enjoyed hot chocolate at the lodge, rehashing our experiences for the other guests, as we would for months to come.I spent our final morning by the pool, staring out at the Indian Ocean, while my partner had a quick snorkel in its warm waters. It was especially sad to leave after so many special experiences, but we hoped to return for many more. After settling in at our room in Ibo Island Lodge’s restored Niassa Mansion, we met our guide for a grand tour of Ibo Island. 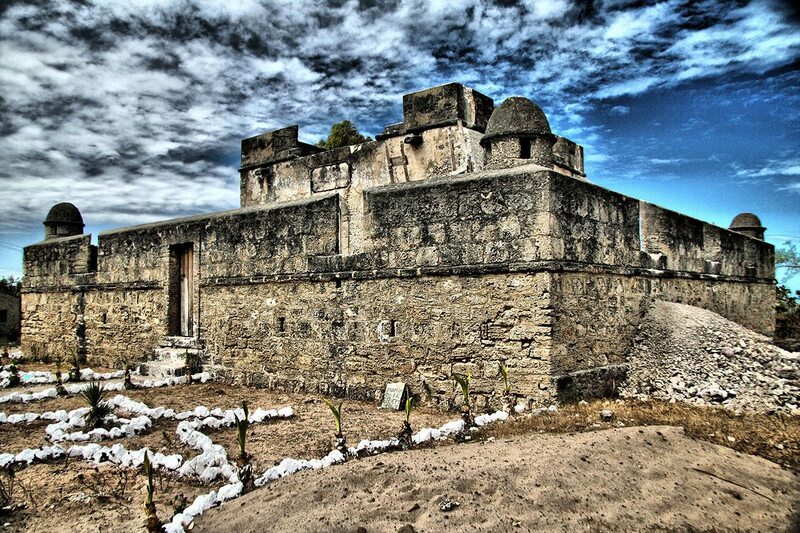 We wandered around this 200-year-old ghost town’s mysterious ruins and ancient buildings, visited the silversmiths who still make intricate jewellery from melted-down coins and imagined this forgotten way of life. Returning after dark, we were served the first of many memorable meals, while transfixed by the full moon’s silvery reflection on the rippling tides. After two night’s camping, our room felt very lavish indeed, not least due to the romantic four-poster bed covered in rose petals we discovered on our return. 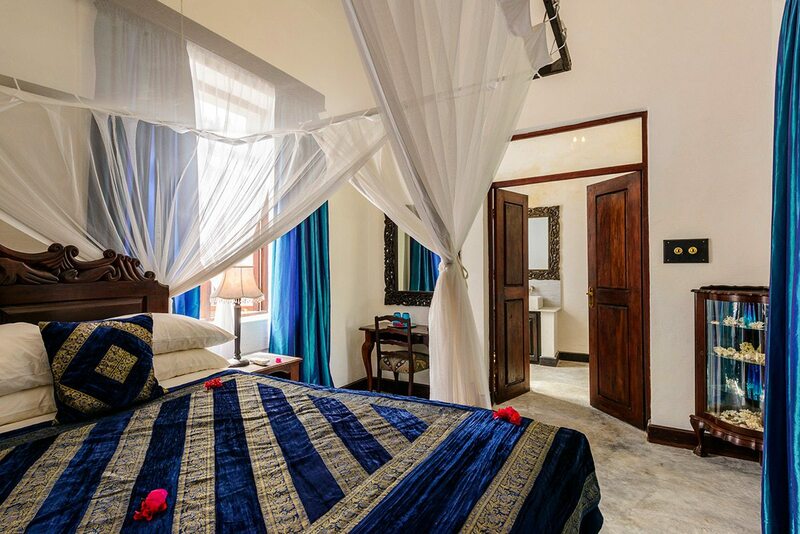 Our bed was so comfortable that we slept right through our intended morning nature walk, but luckily for us, at Ibo Island Lodge there are no set schedules. With coffees to start, we chose to kayak the Quirimbas instead. As we paddled along translucent waters, we could see tiny fish dart beneath us. Pulling up to the water’s edge, we disturbed hundreds of crabs and several birds, including a pied kingfisher. Once we’d experienced the mangrove forests and their birdlife to the full, we paddled around a bend to find the ribs of an ancient wooden vessel poking out the water, covered in sunbathing cormorants. Late the next morning, with the receding tide, a fine dhow awaited to take us dining on a sandbar. We cleaved away from the beach with our lateen sail billowing in the wind, only anchoring when the perfect, crescent-shaped sandbank was found for us to play castaway on. While we swam, the crew set up a decadent beach picnic. They then left us blissfully alone, effectively marooned on our sandbank until their return with the rising tide. My partner was lost in a novel as I lost myself in the underwater realm, until our dhow arrived to take us back to the lodge for sundowners and dinner. The conditions for diving the Quirimbas were just right: calm seas, 28°C water and 50m visibility. After getting rigged out, a ski boat took us to a sunken island, where we tipped backwards and descended towards the seabed. Passing through a canyon we found enormous and colourful corals, along with goldies, Moorish idols, clams and humpback snappers. It was an overwhelming profusion of fish, and we even spotted sinister reef sharks on our way out. Still elated by the dive, we enjoyed hot chocolate at the lodge, rehashing our experiences for the other guests, as we would for months to come. I spent our final morning by the pool, staring out at the Indian Ocean, while my partner had a quick snorkel in its warm waters. It was especially sad to leave after so many special experiences, but we hoped to return for many more. 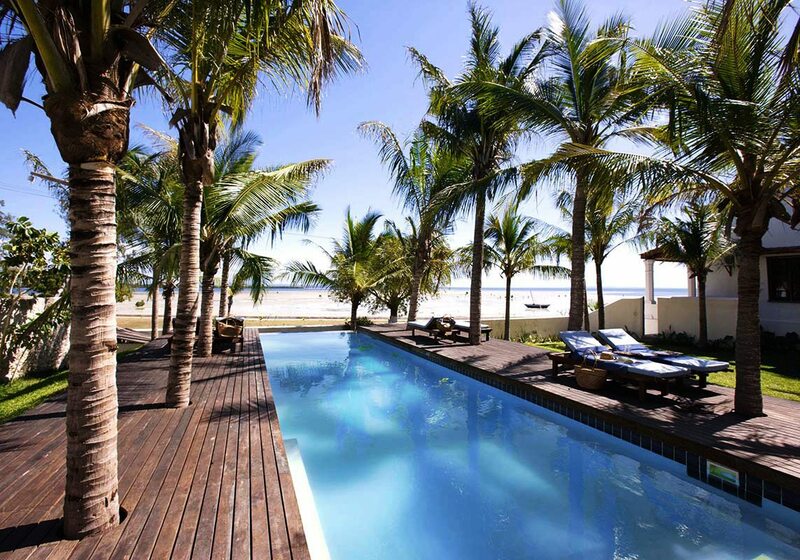 Our luxury safari in Mozambique’s Quirimbas Archipelago stands out for the sheer wealth of experiences it offered: kayaking in the mangroves, snorkelling and diving the coral reefs, dining on a sandbar and island hopping on an Ibo dhow safari.We were captivated by its different landscapes, from mysterious underwater realms with sheer reef walls and meandering canyons to otherworldly mangrove forests that fight for survival. 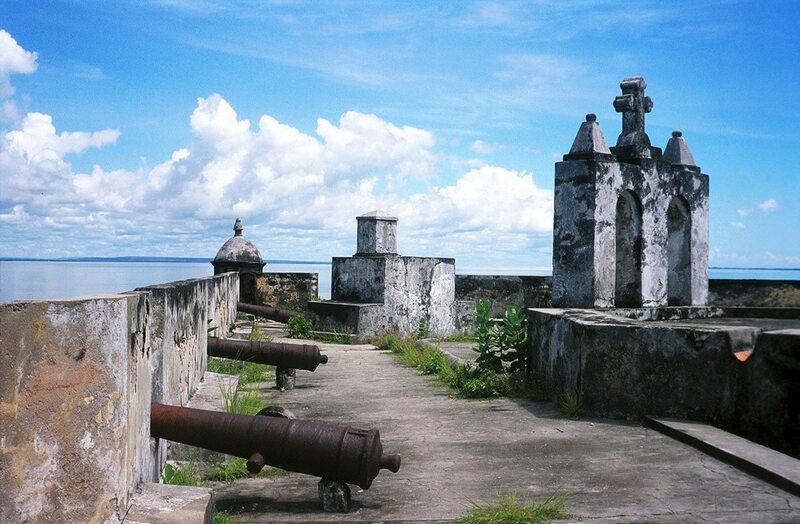 Even the islands were never the same: some populated with remote fishing villages, others rich in history with ancient forts and silversmiths, and yet others little more than sandbanks uncovered by receding tides. Of course, these changing habitats meant a diversity of animal and bird species: a staggering array of colourful corals and fish species, kingfishers of every description, cormorants, fish eagles and many more.The staff at Ibo Island Lodge certainly knew how to make their guests happy. Combining an Ibo dhow safari with tours of historical Ibo Island and a stay at this luxury lodge was the perfect balance of safari and beach for the ultimate in relaxation, exploration and indulgence.While our first two nights were spent fly camping on sandy island beaches under the stars and our last four were in the unsurpassed luxury of Ibo Island Lodge, both experiences matched in utter professionalism, superb service and great food and wine with a respectful approach to the environment and the people of the Quirimbas.We particularly loved that our island holiday had a positive impact – the lodge supports a silversmith empowerment project and a local preschool – with the chance to interact with schoolchildren and local craftsmen for a more authentic island experience. 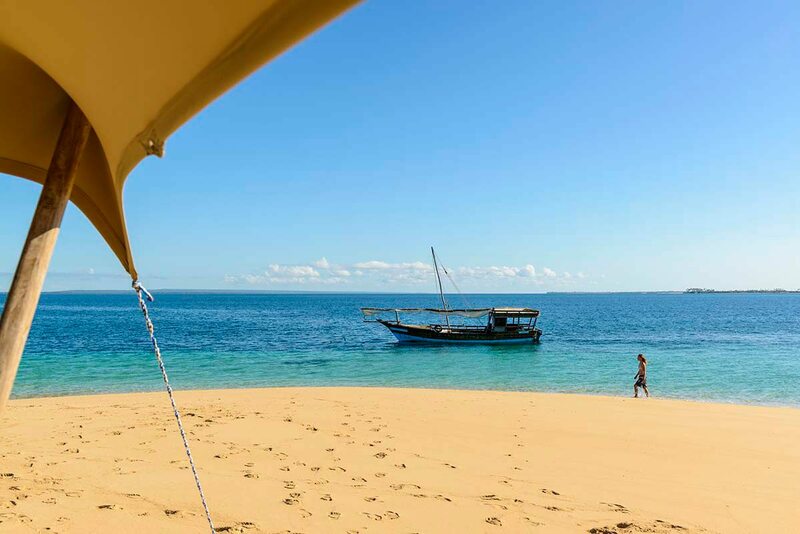 Our luxury safari in Mozambique’s Quirimbas Archipelago stands out for the sheer wealth of experiences it offered: kayaking in the mangroves, snorkelling and diving the coral reefs, dining on a sandbar and island hopping on an Ibo dhow safari. We were captivated by its different landscapes, from mysterious underwater realms with sheer reef walls and meandering canyons to otherworldly mangrove forests that fight for survival. Even the islands were never the same: some populated with remote fishing villages, others rich in history with ancient forts and silversmiths, and yet others little more than sandbanks uncovered by receding tides. Of course, these changing habitats meant a diversity of animal and bird species: a staggering array of colourful corals and fish species, kingfishers of every description, cormorants, fish eagles and many more. 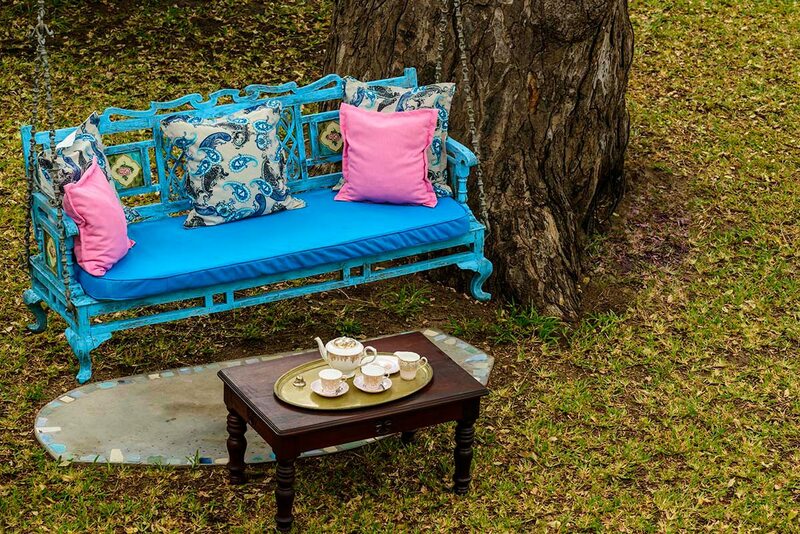 The staff at Ibo Island Lodge certainly knew how to make their guests happy. 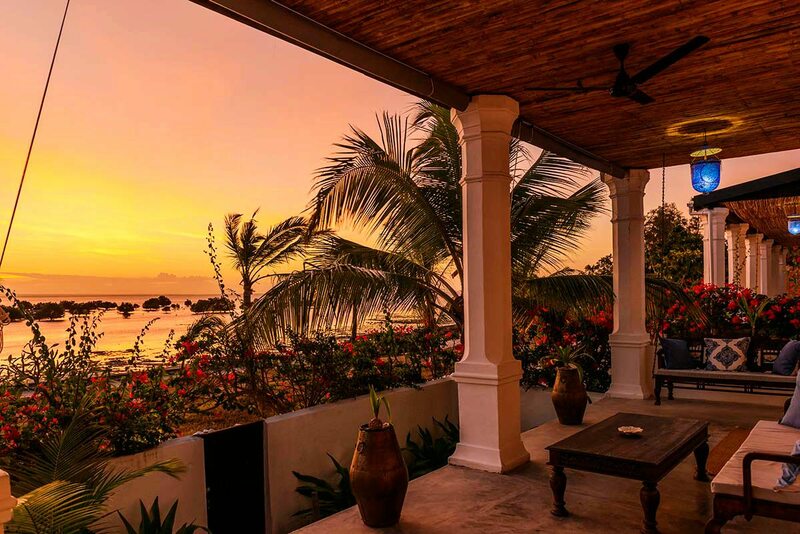 Combining an Ibo dhow safari with tours of historical Ibo Island and a stay at this luxury lodge was the perfect balance of safari and beach for the ultimate in relaxation, exploration and indulgence. While our first two nights were spent fly camping on sandy island beaches under the stars and our last four were in the unsurpassed luxury of Ibo Island Lodge, both experiences matched in utter professionalism, superb service and great food and wine with a respectful approach to the environment and the people of the Quirimbas. We particularly loved that our island holiday had a positive impact – the lodge supports a silversmith empowerment project and a local preschool – with the chance to interact with schoolchildren and local craftsmen for a more authentic island experience. You’ll be met as you disembark from your international flight at OR Tambo International Airport in Johannesburg, South Africa, and assisted through customs and immigration. 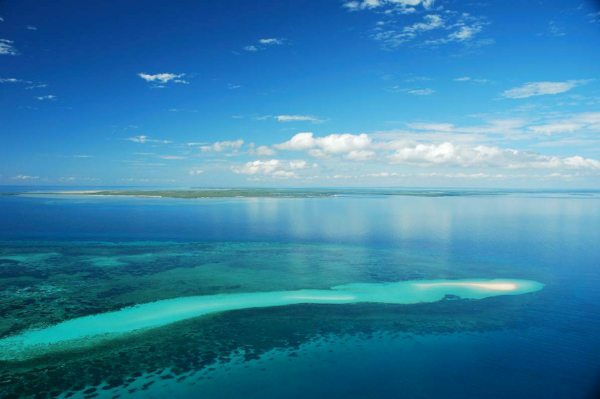 After a scheduled flight to Pemba in Mozambique, you’ll take a scheduled light-aircraft flight to Ibo Island. A transfer will take you to Ibo Island Lodge, and to a departure point for your private dhow safari, which will last two nights. 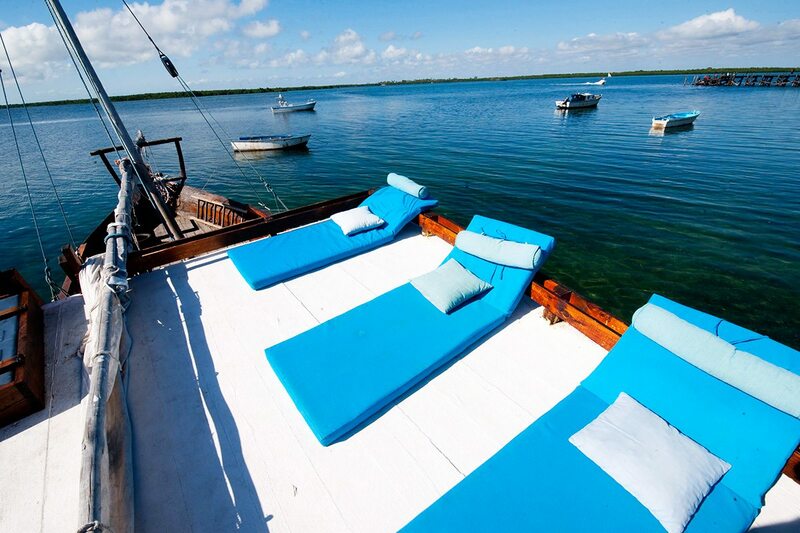 A transfer will take you from your private dhow to Ibo Island Lodge, where you’ll spend four nights. After a transfer from Ibo Island Lodge to the airstrip, a scheduled light-aircraft flight will take you to Pemba. 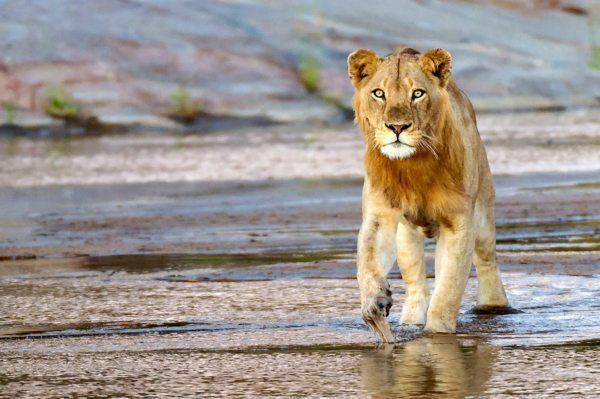 A scheduled flight will then take you to OR Tambo International Airport in Johannesburg, South Africa, to connect with your ongoing flight.